The Turkish Coalition of America (TCA) is deeply saddened by the passing of Ambassador Nabi Sensoy who was Turkey’s Ambassador to the United States between 2006-2009. Ambassador Sensoy had an impressive career at the Ministry of Foreign Affairs (MFA). In addition to high-ranking positions with MFA in Ankara, he served as the Ambassador to Russia (1998-2002) and Ambassador to Spain (1990-95). He was also Chief of Staff to President Turgut Ozal (1988-90), Consul General in London (1985-88), and Counselor at the Turkish Embassy in Washington, D.C. (1980-83). 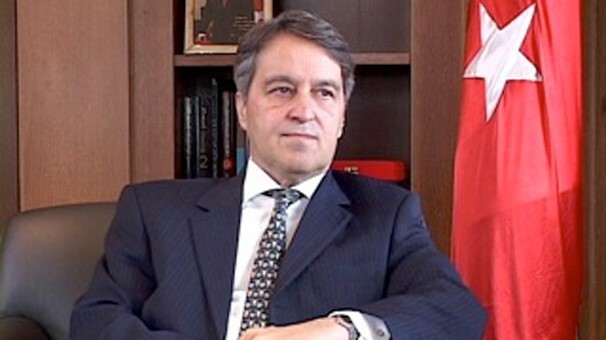 Ambassador Sensoy was a graduate of the Faculty of Political Sciences at Ankara University. It was during Ambassador Sensoy’s tenure in Washington when TCA was established in 2007. His support of TCA and the Turkish American community will not be forgotten.